Last Wednesday I told you about Alberto Alvarez – the man who called 911 the day Michael Jackson died – and his testimony about Dr. Conrad Murray actions while MJ was dying. According to reports Alberto Alvarez was fired from his position by the Jackson family last Friday. 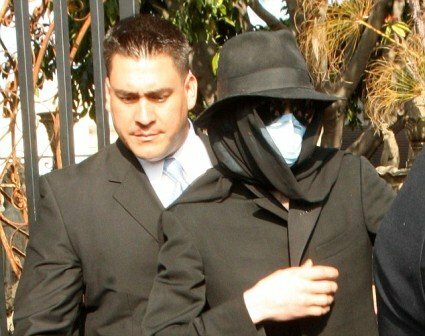 He had been working at the Encino home since Michael Jackson died last June. At this point, there don’t seem to be any details on a reason for the firing, but it’s awfully convenient that Alvarez opened his mouth last Wednesday, and then lost his job two days later on Friday. Of course, that wouldn’t necessarily make any sense since the majority of the Jackson family believes Dr. Murray killed Michael. You’d think they’d want Alberto Alvarez to throw Murray under the bus. But the timing of the story hitting and Alvarez losing his job is just too odd. It’s also odd that Alvarez – who was sometimes called Michael’s “logistics director” – didn’t tell detectives about the alleged cover-up right away, instead waiting two months. There’s got to be more this story than meets the eye.